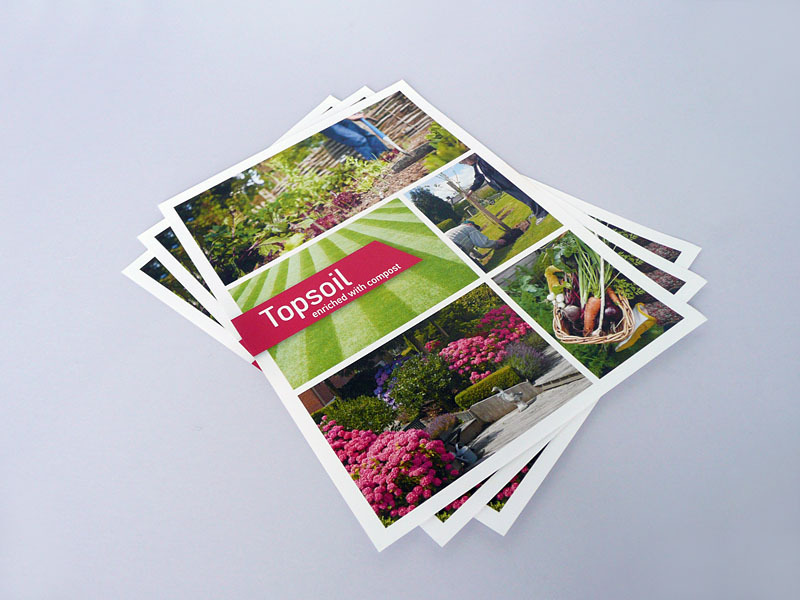 Colourful and inviting point of sale material to entice all gardeners to purchase topsoil enriched with compost for their gardens or plots and inform them of the benefits. This is currently distributing throughout the various stores that stock the product to make the general public aware of this great product that O’Toole Composting produce. 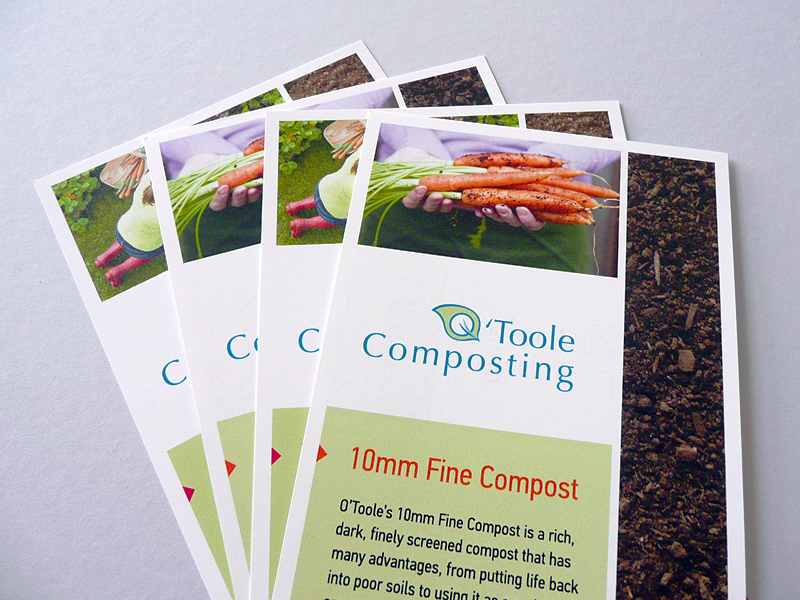 This DL flyer was targeted specifically to landscape gardeners to promote the 10mm fine compost product that O’Toole Composting are selling for this market. A very visual and colourful design.